As interest in the story of a possible meteorite impact site on the King Baudouin Ice Shelf grew since its first reporting on January 8th, it has created a great a lot of discussion in the scientific community. One leading alternate hypothesis is that the 2 km-wide circular structure in the ice shelf is that it could be an ice doline - a structure that forms when cavities in ice shelves cave in due to surface melting and then re-freezing. Graeme Eagles sits for a second interview to discuss new possibilities in light of what his colleagues in the glaciology community have contributed to the discussion. There are glaciologists out there - some of whom have done research on the King Baudouin Ice Shelf - who don’t agree that this circular structure you discovered in the King Baudouin Ice Shelf came from an impact event. Rather, they think that it is an ice doline. What do you think about that hypothesis? Soon after this story got out, I received a message from Jan Lenaerts - the glaciologist from Utrecht University who was doing research on the King Bauduoin Ice Shelf this past November and December with his BENEMELT project. As I mentioned in our last interview, none of our team is a specialist in ice shelf processes, so I was very pleased to hear from someone who is. Jan told me that some of his colleagues had suggested our structure was an ice doline. I’d never heard about ice dolines before, and so I read up on them. From what I found out, it’s clear that it is a very plausible alternative explanation for the origin of the circular structure in the ice. Are you ruling out the idea that this circular structure could have been formed by an impact event? No, we can’t rule it out (just as before we weren’t ruling it in) until we have processed all of the field data from the site. However, for me, Jan’s news sent the impact theory to the back end of a short queue. One of the things I learned as a geology student was that the vast majority of circular structures in rocks are attributable to processes other than meteorite impacts. So, having learned about the existence of ice sheet processes that can produce circular structures, the hypothesis of this structure being a very large ice doline appeals to my instincts as a geologist. The process of ice doline formation is a lot more common than meteorite impacts are. And as an adherent to the principle of least astonishment - meaning that a more common explanation is the more likely one - before we have indications to the contrary from the field data, I would lean toward the interpretation of this 2 km-wide structure being an ice doline rather than something created by a meteorite impact. So you currently favour the ice doline hypothesis? Until you’ve ruled any single hypothesis out on the basis of good observations or good modelling, you should hold it as a possibility. Before this has happened, and if you have more than one possibility as an explanation for a structure or an observation, then all you can do is weigh up the probabilities based on some idea about how frequently processes occur. In order to have formed an ice doline at the location of the ring structure, we need two ingredients: some ice, which is always there, and the occasion for some of this ice to have melted, which might be possible during a couple of months of each year. To get an impact crater of this size in the same location, we need a single extraterrestrial ingredient that probably comes along once in 5,000 years and has an approximately equal chance of hitting any one of millions of other equal-sized spots on Earth’s surface. In short, the probability of this structure being a meteorite impact crater really is astronomically smaller than that of it being an ice doline. To summarise, while we don’t have at the moment evidence that would rule out either possibility, scientific prudence should very much lead one to favour the ice doline explanation. What about the study by Arrowsmith and colleagues? It concluded that an object fell to Earth in September 2004 in the vicinity of the King Baudoin Ice Shelf. Perhaps it may have fallen somewhere else? The key here is that the Arrowsmith study gives a general vicinity near the King Baudouin Ice Shelf. There’s a certain amount of uncertainty in pinpointing exactly where that object touched down. So it’s possible that it may not have landed on the King Baudoin Ice Shelf. The other problem with the interpretation of the 2004 meteorite impact theory, as we very quickly found out for ourselves, is that the circular structure we observed is visible on satellite images going back to at least the mid 1990s. So this structure in the King Baudoin Ice Shelf certainly existed prior to 2004. The fact that this structure is evident on old satellite images does not speak against the alternative interpretation of this structure as an ice doline. One could say that discussion about this structure on the King Baudouin Ice Shelf is a good example of the scientific process at work. Absolutely. It’s a great example of the start of the scientific process. You formulate hypotheses and then try to test them to destruction. At the moment, thanks to Jan Lenaerts so generously sharing his expert knowledge, we have two hypotheses - one that this structure is a meteorite impact site, and another that it’s an ice doline. But until we test either of them to destruction, we shouldn’t state any conclusion about the origin of this structure. Has there been any discussion about putting an expedition together from AWI to have a closer look at this circular structure during the 2015-16 Antarctic summer research season? We’ll be in Antarctica working on our geophysical survey until the beginning of February, so we aren’t in a good position to be talking to our colleagues about planning research expeditions for next year. But it will be our colleagues who decide, as neither ice dolines nor impact craters fall within the geophysical research programme that our campaign, WEGAS (West and East Gondwana Amalgamation and Separation), is part of. Right now our glaciological colleagues in Bremerhaven are looking at the radar data of the circular structure we collected on December 26th to determine whether or not its internal structure is consistent with that of an ice doline or something left by an impact event. After that, it will be up to them to determine if they want to consider further research expeditions related to this find. It may be a few weeks before this decision is made. However Jan Lenaerts has indicated that he plans to visit the circular structure as part of an already-planned research programme on the ice shelf during the 2015-16 research season. The topic garnered some attention on Reddit, Twitter and Facebook. What is your take on having public discussion on new scientific discoveries in these kinds of fora - which include both scientists and non-scientists alike? Even if it is through a sensational story about a possible meteorite impact crater, if that kind of thing gets people interested in science and in Antarctica, then we as scientists are happy. What if this circular structure turns out to be an ice doline in the end? Then it could have implications regarding the stability of the King Baudoin Ice Shelf, and climate change in general. Ice dolines are an indication that the ice shelf undergoes periodic melting. They exist in many ice shelves in West Antarctica. Furthermore, one of the studies I read suggests that the presence of ice dolines on the Larsen B Ice Shelf in West Antarctica contributed to its catastrophic collapse in 2002. 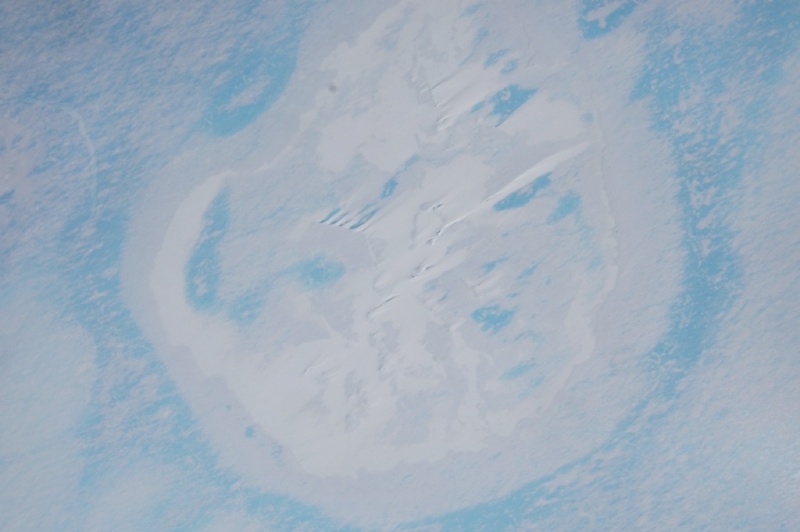 If such a large ice doline has been present and undiscovered on the King Baudouin Ice Shelf in East Antarctica since the mid-1990s, it raises the questions of how many other ice dolines of all sizes may be there and thus how stable the King Baudouin and, possibly, the other East Antarctic ice shelves really are. These, of course, are questions that Jan Lenaerts, for example, would be better placed to comment on because of his scientific focus on the King Baudoin Ice Shelf. Did you expect the story on the possible meteorite impact on the King Baudouin Ice Shelf would have ever attracted so much attention? I don’t think I had any particular expectations of the media because I needed to concentrate on my survey. Scientifically, right from the start I was aware that this discovery could go either way, proving either to be truly unique or something less well-known but more commonplace. But I also knew as a person who reads the newspapers that meteorites are the kind of thing that people want to read about when they turn over to the science pages. You have to take into account that this side of your story will be given prominence once you start talking to the media. But the level of resonance the story got in the media still surprised me a bit. Looking back, I do hope that the overall impression we gave is that we were very cautious from the beginning about the idea that this structure is a meteorite impact. Of course, whether that made its way into the public consciousness is another thing. Overall, are you happy with the media’s reaction? Of course it’s always good to get some recognition for what you’re doing. People don't get excited about curious ring shapes on ice shelves but they do react to the idea of enormous meteorites crashing into Earth. So if the story about the meteorite turns out to have been a dead end, but ends up furthering knowledge and raising consciousness of the effects of climate change, and if it gets people talking about those things, then it can only be good. It’s very relevant to society if this discovery pertains to further loss of ice from the Antarctic Ice Sheet behind the ice shelves. Any ice lost from the ice sheet ultimately contributes to sea level rise. Dr Graeme Eagles is a geophysicist at the Alfred Wegener Institute in Germany. Having obtained his undergraduate degree in geology from University of London in the UK in the 1990s, he went on to do a PhD in potential field geophysics at the University of Leeds, co-sponsored by the British Antarctic Survey. Since then, Dr Eagles has had a number of post-doc positions at University of London, the British Antarctic Survey and the Alfred Wegener Institute. He spent six years as a lecturer at the University of London before returning to Alfred Wegener Institute in 2013, where he's been working as a geophysicist. 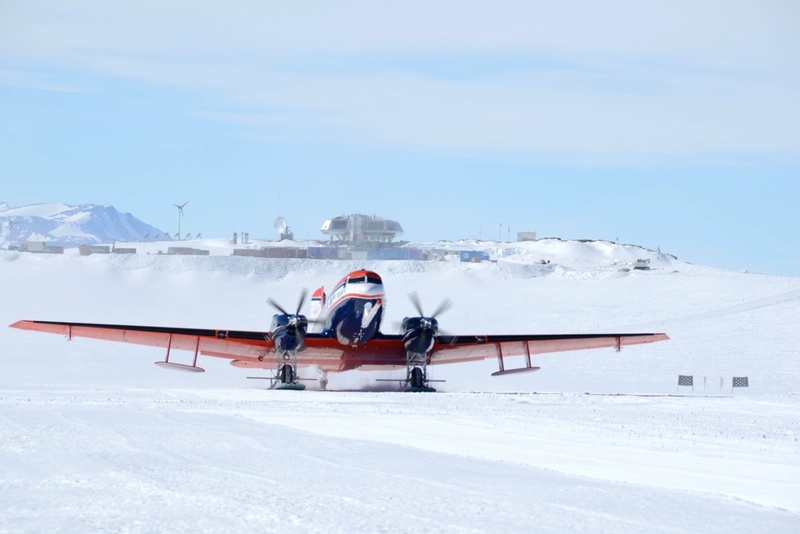 He is leading the most recent of AWI's four WEGAS (West and East Gondwana Amalgamation and Separation) surveys, which have been based at Belgium's Princess Elisabeth Antarctica research station. Aerial view of the circular structure researchers working for the Alfred Wegener Institute discovered on King Baudouin Ice Shelf. Scientists are now leaning towards the hypothesis that it is an ice doline.